If you find yourself traveling to Cusco on Christmas Eve, there’s a good chance you’ll bump into the famous Santurantikuy Christmas Market. As it has every December 24th since the 16th Century, the market completely overtakes Cusco’s Plaza de Armas. Artisans from across southern Peru line its sidewalks, steps, and portals with their hand-carved figurines, mosses, and renditions of Niño Manuelito, the Andean version of baby Jesus. 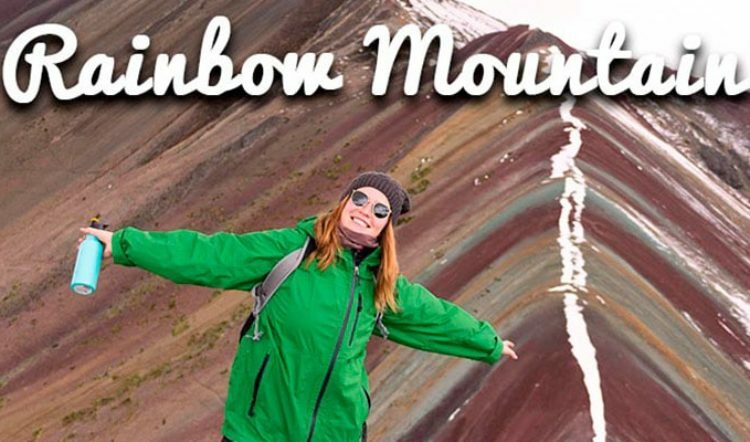 Unlike Christmas markets around the world, Cusco’s is not for Christmas gift shopping. It’s for the Christmas retablo. Retablos are three-dimensional boxes depicting a religious scene; in this case, the story of the birth of Jesus. They are as essential to the household Christmas decorations as the Christmas tree is for many in the Western world. In fact, you’d be hard pressed to find a home, parish, or community in the Andes without a retablo or other version of a nativity scene come Christmastime. It’s where the gifts are laid on Christmas Eve and it’s the reason Peruvians flock to Cusco’s Plaza de Armas for Santurantikuy year after year. 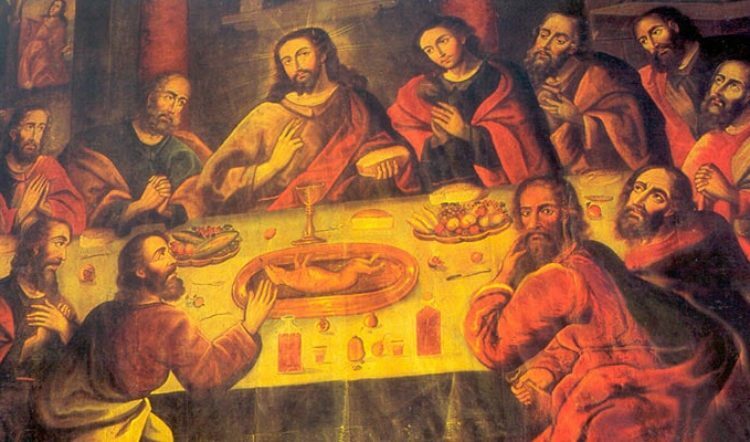 The retablo is a cherished Peruvian Christmas tradition in the Andes and one that requires fresh moss for the manger and new clothing for the baby Jesus every Christmas. 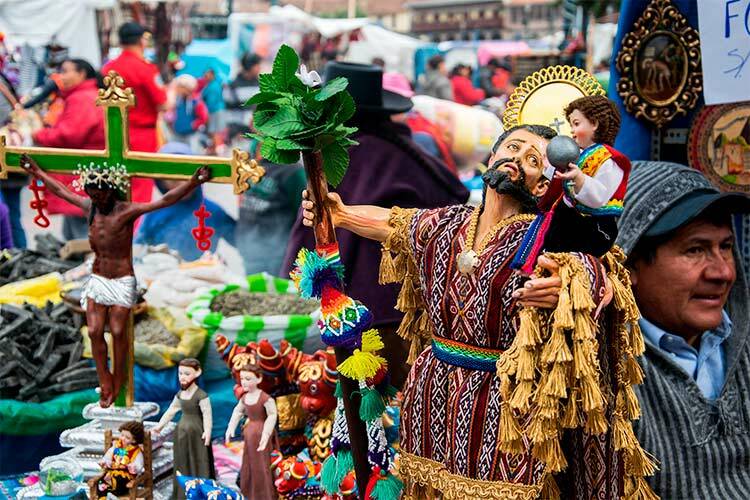 Santurantikuy, literally translates to “saints for sale.” The origins of this arts and crafts Christmas market stretch all the way back to the time when Vice-Regents of Spain were leaving their mark on Peruvian and South American history in the form of colonization. It’s no surprise, then, that this Cusco Christmas market was created by the Spanish to further evangelize the indigenous people of Cusco. Today, Santurantikuy has grown to become one of Peru’s largest arts and crafts fairs on December 24th. As in the colonial days, it’s still held in the main square of Cusco and vendors still lay out blankets on the sidewalks with the raw materials and figurines they’ve come from far and wide to sell. 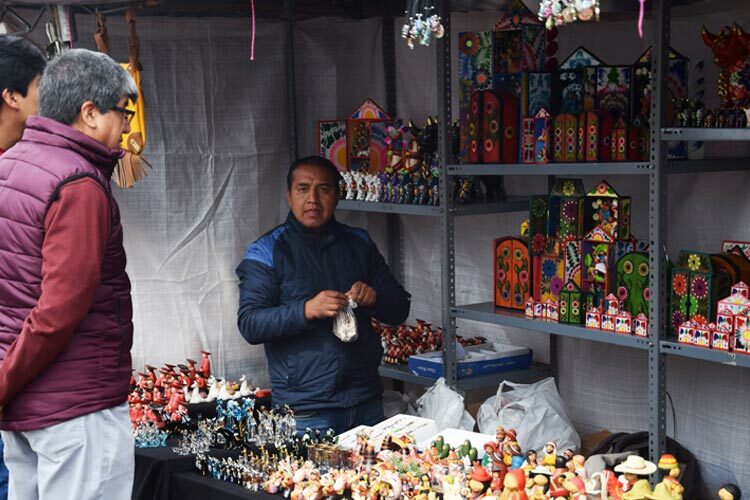 Nowadays, however, you’ll also find amidst the mosses and hand-carved figurines of San José, Virgin Maria and Niño Manuelito, vendors selling Andean handicrafts un-related to the Christmas manger scene. To add to the Christmas spirit, there’s always a vendor nearby selling Christmas sweets and warm rum punch, locally known as ponche. Santurantikuy is a long-awaited event for a reason. 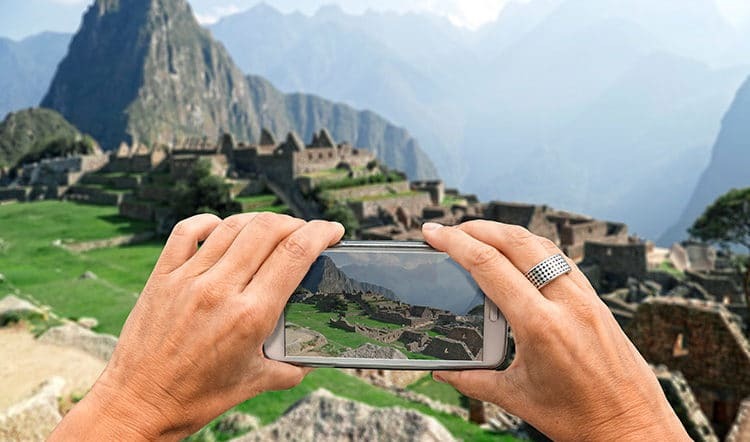 The festive air and gathering of artisans and herb sellers (hierberas) from every province in Cusco is truly an experience you’ll want to time your vacation in Peru for. 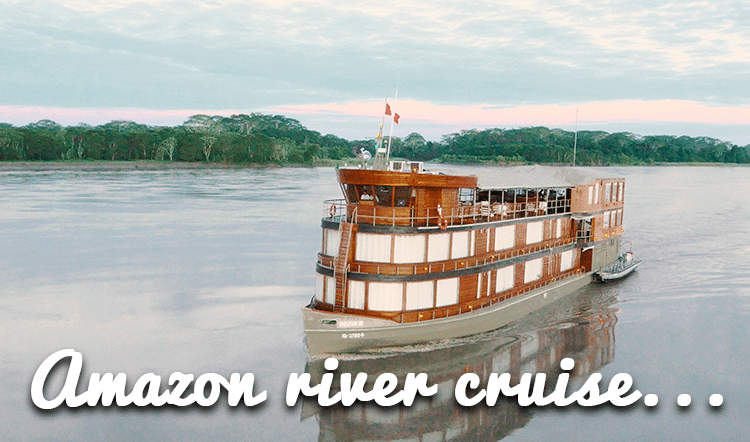 Get in touch with a Kuoda Travel Designer to plan the perfect custom Peru holiday, be it Christmas 2019 or… tomorrow! As we say in Peru, Feliz Navidad! From our Kuoda family to yours, we wish you nothing but the merriest of Christmases.